Stage 1 of this project was completed in August 2016. 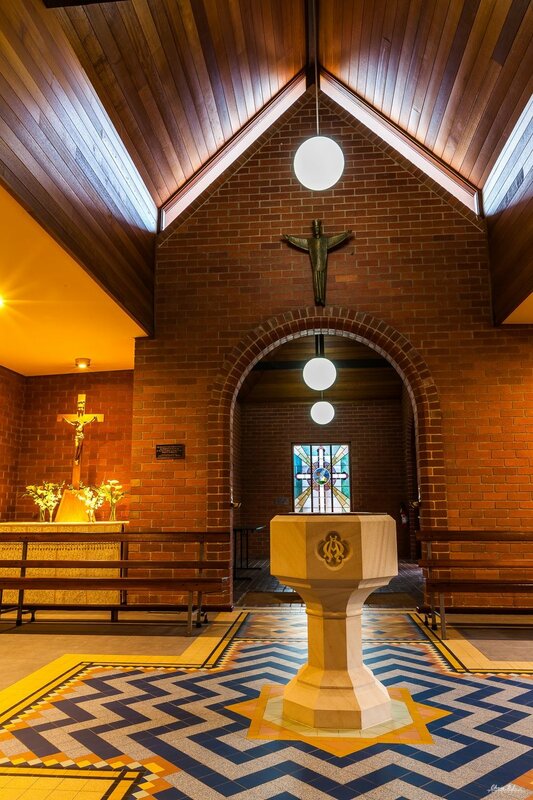 It involved a significant upgrade of the sanctuary and interior floor finishes of the original church completed by Graeme Law and Associates in the 1980s. The aim of these works was to improve the sense of the sacred through the introduction of a prominent sandstone stone altar and reredos and new baptismal font modelled on gothic and romanesque precedents. These sacral elements are linked visually by a vibrant new encaustic tile pattern found in the baptistery, main aisle and sanctuary that are inspired by the gothic revival tile patterns employed by Augustus Welby Pugin.